If you've been experimenting with gouache, you'll want to pick up the brand new issue of International Artist Magazine (#105 Oct/Nov). 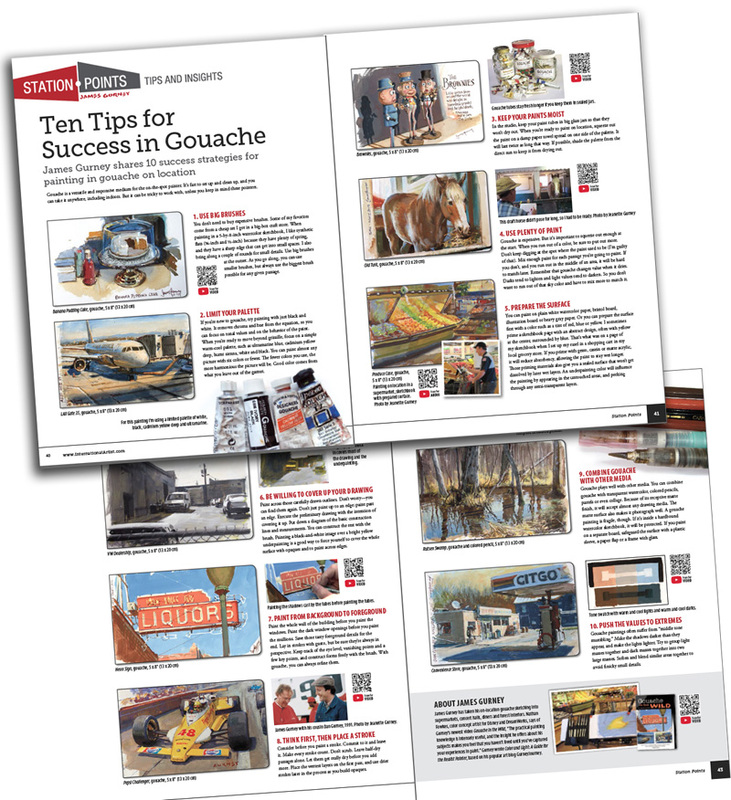 I chose my top ten tips for success and illustrated them with 10 examples, and included QR codes so that you can use your phone to go behind the scenes of the paintings and watch them being made on video. I like the page layout. Also the QR code is a good idea. I MUST GET TO B&N!!! Awesome! I have been doing just this for the past couple weeks. I have just started but I'm really learning to like gouache a lot, especially while I'm traveling. Gouache is much more travel friendly than oil. I love using gouache too, but sometimes it just dries too quickly, which I have to squeeze another bit again. This magazine looked great since I still know very little about how to use gouache properly and effectively.